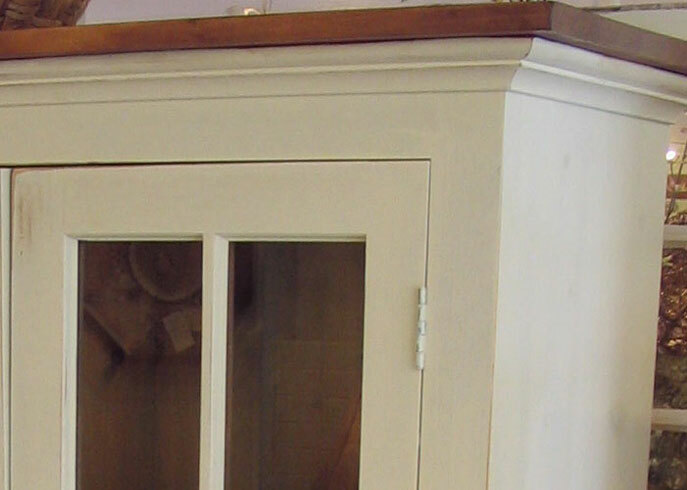 Champlain White is a milk paint finish, it is considered an off-white or "antique" white color. All paint finishes are rubbed to give the appearance of wear and age. 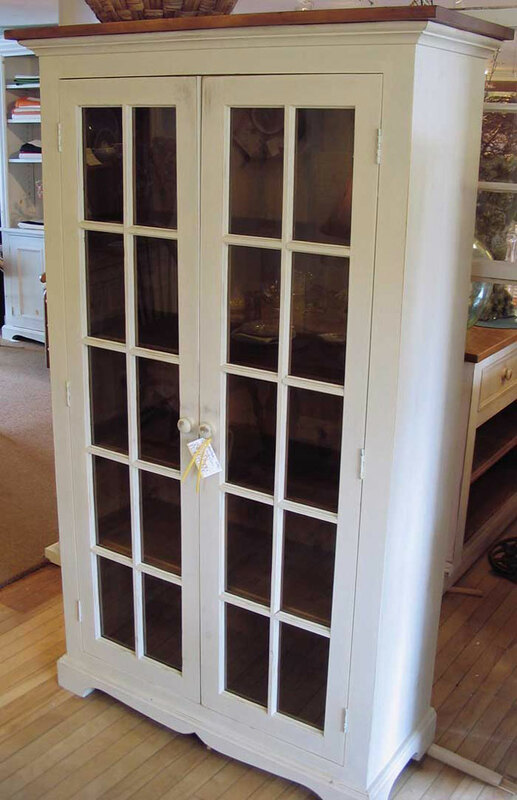 The item shown is a Glass Door Bookcase.